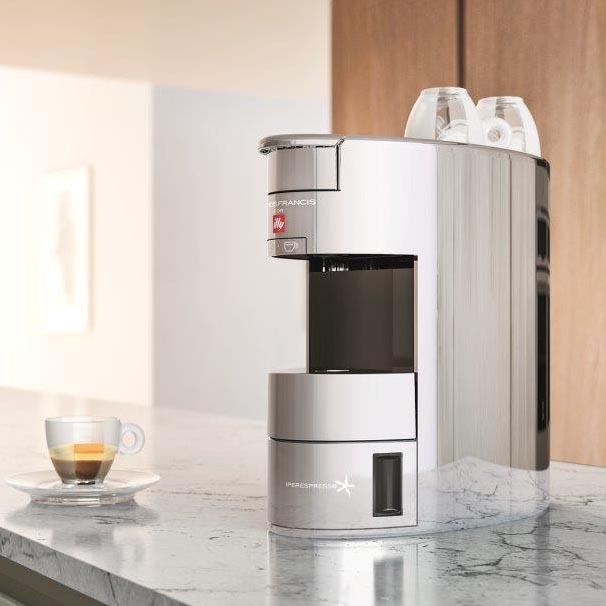 Introducing the new Francis Francis for illy X9 iperEspresso capsule machine, iconically designed with form and function in mind. Its beautiful chrome finish and slim, compact shape make this machine a stunning edition to any kitchen. The water tank is accessible from the front and can be opened partially to re-fill while in operation. 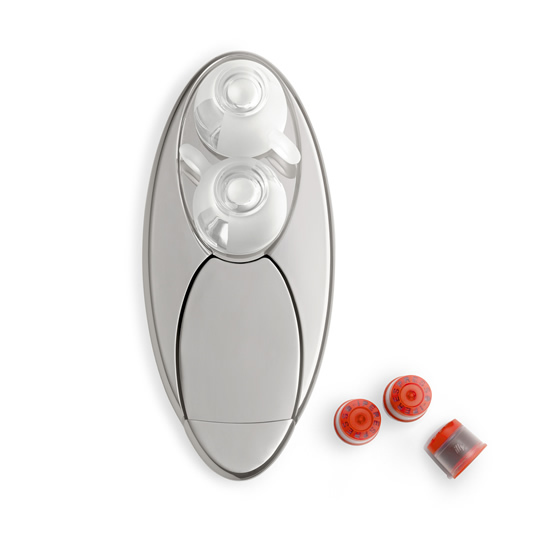 Control buttons allow you to program and select two in-cup volumes. The flow measurement system sets the optimal volume of espresso coffee and the LED light illuminates the cup during brewing. The result? A rich, smooth, full-bodied espresso in every cup. For use with iperEspresso capsules only. 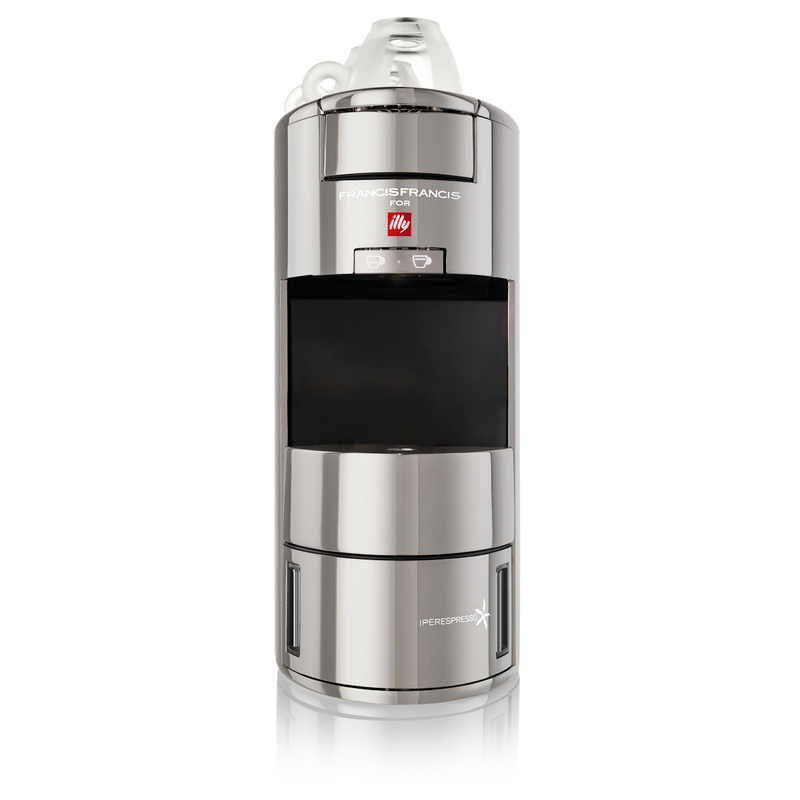 iperEspresso technology is enclosed in elliptical chrome-plated aluminum casing. An element of design transformed into a machine. 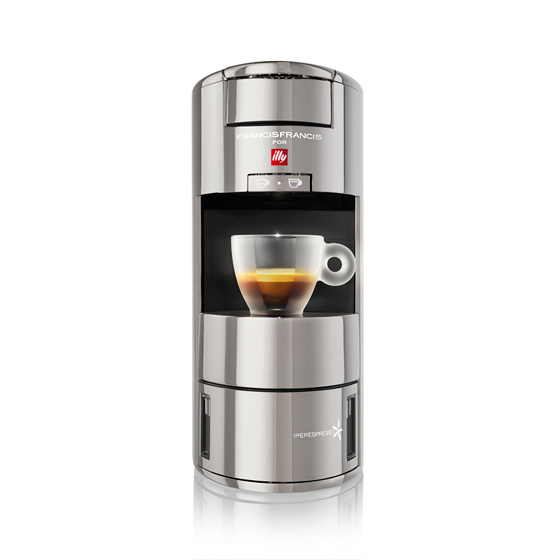 The top of the X9 accommodates two cups and keeps them warm.